I am a huge fan of sandals. I wear them almost every season of the year. That;s why I was super excited when I was offered the chance to review the Juil sandals. Juil sandals are really pretty and look great with anything that you wear! Even better than that though, is that they make you feel better while wearing them. How is that, you may ask? 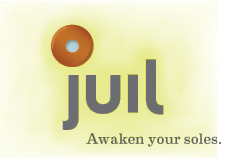 Juil footwear cleanses your body of free radicals, based on a concept known as earthing or grounding. Whereas most footwear insulates your body from making a connection with the earth, the copper "dots" in Juil earthing shoes acts as a conduit between your body and earth, allowing you to stay truly connected and balanced. Stay in touch with the earth beneath your feet without sacrificing your fashion sense. Or your sense of responsibility. Our Gaia vegan flip-flops make a statement wherever you wear them. And you'll want to wear them everywhere! I have had the Gaia flip-flops for a few weeks now. The first thing that I noticed were how stylish they are! There is a brief "breaking-in" period, as with any other shoe. Once the shoe gets broken in, it is the most comfortable flip-flop that you will ever wear! I wear these flip-flops everywhere and they are so comfortable that I almost feel as though I am walking barefoot. These flip-flops are very well made, so I know that they will last quite a while. I would highly recommend Juil shoes to anyone! They are stylish as well as functional. 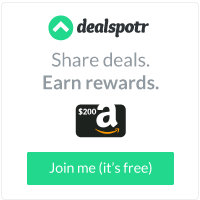 I know that if you try them, you will love them as much as I do! Visit www.juil.com to check out the great styles available! I did not recieve compensation for this review. I was provided the product mentioned above to facilitate this review. All opinions are 100% my own.